Photo ©Miriam Hutterer - The 14inch mirror telescope at the Cuno Hoffmeister Observatory close to Windhoek in front of the magnificant Namibian night sky. 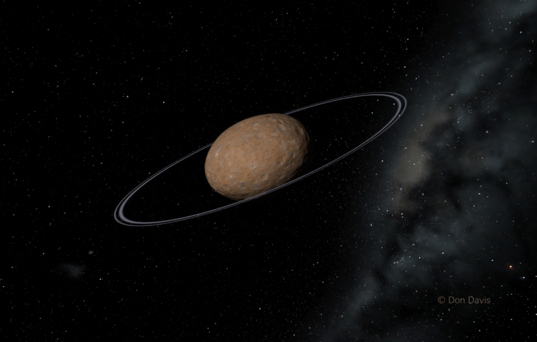 Recently, the surprise detection of two rings around the Centaur asteroid Chariklo was reported in Nature magazine and attracted quite some scientific and media attention. Last week in the night from Tuesday to Wednesday, follow-up observations were performed by a group of astronomers in Southern Africa who investigated the object during a stellar occultation. Chariklo is the largest Centaur, an icy world in the realm between asteroids and comets. In 2013, it was discovered to have not one, but two, rings. Chariklo is about 250 km or so in diameter. Its inner ring is at 391 kilometers from the center of Chariklo and is 7 kilometers wide. Its outer ring is at 405 kilometers and is 3 kilometers wide. The gap between the rings is 8 kilometers wide. Besides at Calitzdorp, South Africa, which suffered from bad weather conditions, and at the International Amateur Observatory (IAS) on farm Hakos in the Khomas highlands, observations were performed at the Cuno Hoffmeister Observatory, just South of Windhoek, behind the Auas Mountains. The observations in Windhoek were lead by Dr. Wolfgang Beisker (Munich) of the International Occultation Timing Association (IOTA). He was assisted by Mrs. Sonja Itting-Enke of the Namibia Scientific Society and owner of the observatory and Dr. Michael Backes of the Department of Physics at the University of Namibia. For these observations, special camera equipment could be used thanks to the collaboration with IOTA and Prof. Bruno Sicardy (Université Pierre et Marie Currie & Observatoire de Paris). Occultations of stars like the recent one by Chariklo are rare events and can only be observed from a small region on Earth. This in combination with the scientific attention Chariklo recently attracted underlines the importance of the performed observations from Namibian soil. 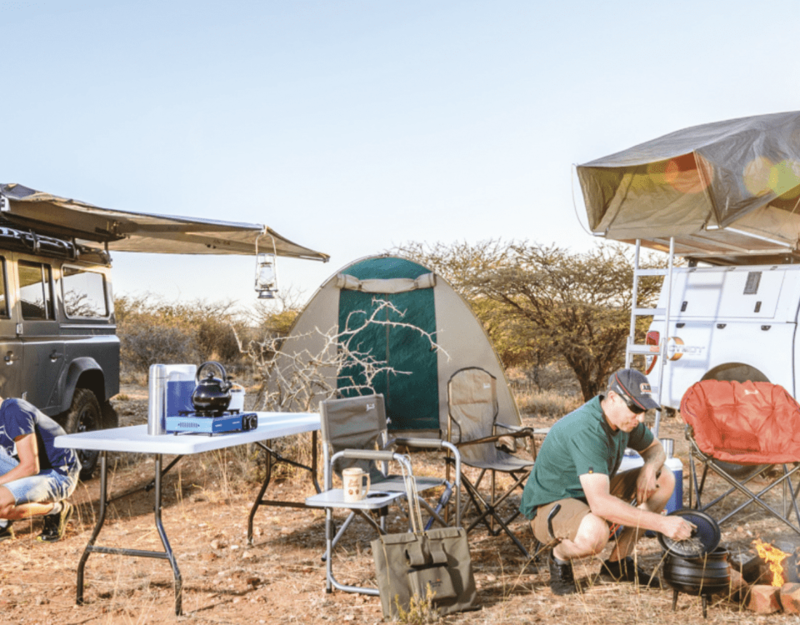 Additionally, the large number of clear night-skies per year, the general topology of the country and the low population density resulting in extremely low levels of ambient light, make Namibia a premier destination for astronomical observations. The data taken during the mentioned night will be analysed within the next weeks – maybe leading to similar astonishing findings as the previous ones.